Leather-Appointed Trim|Premier True North Edition! 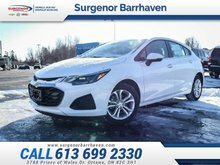 This gray metallic hatchback has an automatic transmission and is powered by a 1.4L I4 16V GDI DOHC Turbo engine. Given that thrifty motor it gets 8.4 L/100 km in the city and uses just 6.4 L/100 km out on the highway according to Transport Canada. 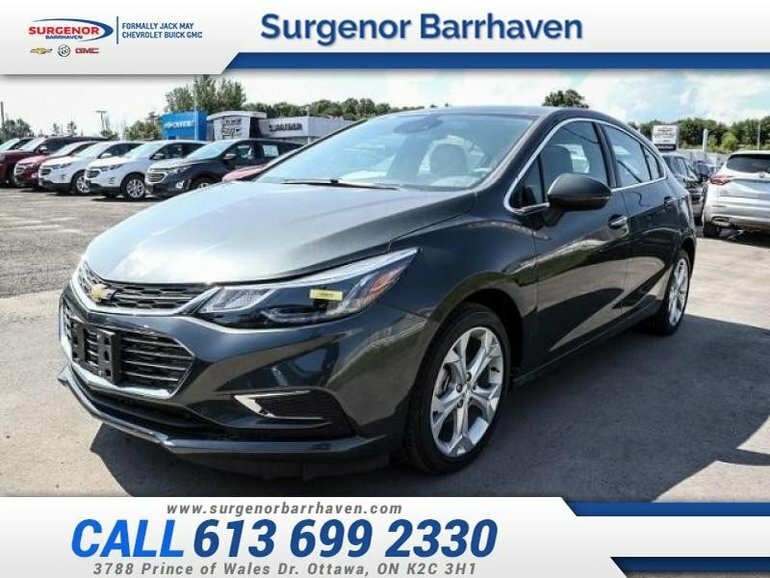 Our Cruze's trim level is Premier. 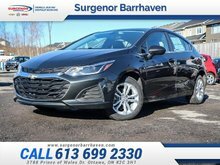 The Premier is the top of the line and includes premium features such as leather seating, 8-way power front seats, a heated and leather wrapped steering wheel, keyless entry, interior lighting upgrades and more. 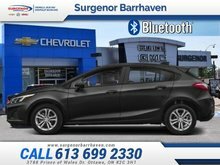 The Premier includes all features from the lower LT trim including bluetooth, SiriusXM, air conditioning, aluminum wheels, a rear view camera plus much more. This vehicle has been upgraded with the following features: Leather-appointed Trim, Premier True North Edition. Total rebate of $3450 is reflected in the price. Credit includes $450 Delivery Allowance and $3000 Non-Stackable Cash Purchase Assist. Credit is available in lieu of subvented financing rates. Incentives expire 2018-10-01. See dealer for details. 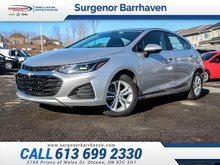 Ce véhicule, Chevrolet Cruze Premier - $197.63 B/W 2018 vous intéresse?